The Avanti Quattro Power is the ultimate Channel Thrust fin for speed, power and fun in the water! 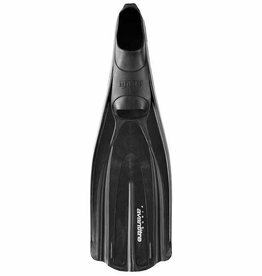 A great all-round fin and an obvious choice for demanding scuba and freedivers. The Avanti Tre fin is lightweight, efficient and great value! It has a soft foot pocket, mid-size blade which is perfect for travel and stabilizers which make it easier to kick for extended time! The Power Plana is Mares' tech fin! 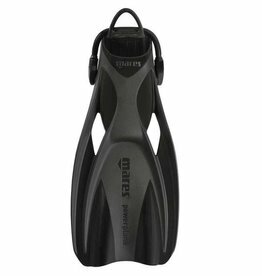 Made of nearly indestructible natural rubber , the fin is negatively buoyant, with a patented bungee strap for added comfort. The Avanti Quattro Power uses Mares' four-channel patent. The deformation achieved when the blade is optimally channeled creates a significant flow of water and increases thrust. The innovative Razor Pro fins deliver the best performance among all technopolymer fins currently on the market. They are a benchmark for the most demanding freedivers and spearfishermen. X-Stream comfort, X-ceptional efficiency, the X-Stream fin is the result of 60 passionate years developing dive products. High-performance, comfort and lightweight design!